Where men’s clothes are concerned, it seems their evolution is often shrouded in mystery. Take the blazer. Was it a) developed by the captain of HMS Blazer in 1837 to smarten up his crew for a visit by the young Queen Victoria? Or b) derived from the bright red jackets (the “blazers”) worn by the members of Lady Margaret Boat Club, from St John’s College, Cambridge, which was founded in 1825? Whatever the origin, boats were involved, and an element of uniform, whether military or sporting. At Gieves & Hawkes there’s another story in play. According to the famous tailors, whose HQ is at No 1 Savile Row, in an earlier incarnation as J Gieve & Sons it became the go-to supplier to cadets and officers of the Royal Navy from the mid-19th century to the Second World War. Among the styles it made were navy blue reefer jackets, with peaked lapels, shiny brass buttons and gold braid on the sleeves denoting rank. The blazers it makes today are descended from these. Of course, blazers have a long history of being fashionable too. They were part of the Ivy League preppy look that was established in the US in the early 20th century and has proved to have staying power. Screen charmers like David Niven and Roger Moore knew how to work the blazer’s suave credentials, and it even had a rebellious moment when striped boating models were appropriated by mods. And today, the blazer is simply an incredibly versatile jacket – so versatile, in fact, that the definition of what the style comprises is becoming elastic. The term “blazer” is increasingly applied to variations on the theme of the separate jacket, and certainly ones made in multiple colours and fabrics. Gieves & Hawkes will, of course, still make you a unique, fully bespoke version, or a personalised made-to-measure (ie customised to your fit) one. 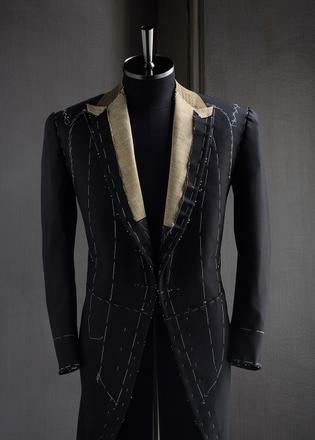 But you will also find a navy blue cashmere blazer in the ready-to-wear collection. It is single breasted and hand finished, and has the typical Gieves & Hawkes British cut, with relatively high armholes and a taper in the waist. In the end, though, however you slice and dice the blazer look – whether you wear it with flannels or jeans or chinos or Bermuda shorts, or with a shirt and tie, open collared shirt or striped Breton T-shirt – it will always come with a touch of class. Let’s make that officer class.